A gorgeous combination of pastel and white seasonal flowers. Tastefully arranged together and teamed with delicate greenery. The white ceramic vase is a geometric shape which will suit flowers of all kinds for future re-use. 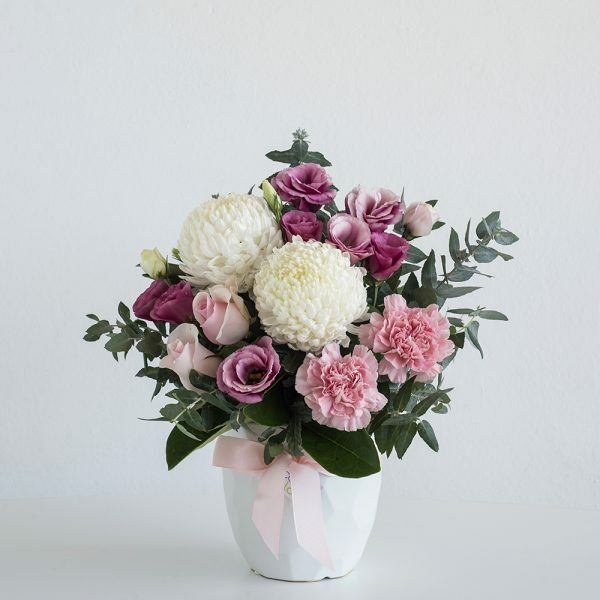 One of the most popular orders that customers like to send at Code Bloom.